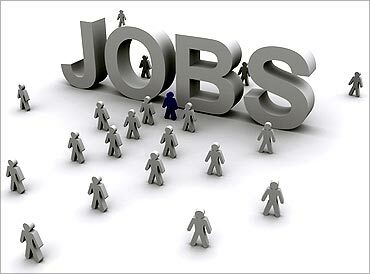 New Delhi - Its raining jobs in the e-commerce space as this segment could grow at 20-25 percent over the next 2-3 years in terms of jobs, salaries and growth, which in turn could create at least 1,50,000 jobs. The current estimated size of the industry is about Rs 18,000 crore and is expected to reach Rs 50,000 crore by 2016 and as the industry grows, the demand for talent would grow proportionally. According to the latest figures released, Minnesota recorded a strong growth in the jobs market during the month of December as unemployed level remained much below the national level. 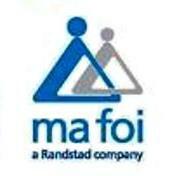 As per a survey done by Ma Foi Randstad, Indian Workforce is the 'most mobile' workforce across the globe. Following India, Mexican employees rank second in the survey. China and Turkey have the third and fourth (consecutively) rank as most mobile workforce in the world. Shree Ashtavinayak Cine Vision, Well-known Cine-entertainment firm, has decided to raise USD 150 million through various routes from both the domestic and international markets. The board has approved raising funds through Global Depository Receipts (GDRs)or American Depository Receipts (ADR) or Foreign Currency Convertible Bonds (FCCB) or convertible securities linked to equity shares, including qualified institutional placement of share. It should be noted that the shareholders of the company will meet on October 24 for Extraordinary General Meeting. Oslo - Norwegian energy giant Statoil Hydro's fourth-quarter net income has dropped 67 per cent on the previous year, the group said Tuesday, citing a drop in oil prices. The stronger US dollar rate also impacted earnings, the state-controlled group said, reporting net income for the quarter of 2.0 billion kroner (291 million dollars) compared to 6.2 billion kroner for the corresponding quarter 2007. Net operating income increased 22 per cent to 37.8 billion kroner, while turnover was up 3 per cent to 150 billion kroner. The US Citizenship and Immigration Services (USCIS) on Tuesday revealed that an estimated 133,000 unique pieces of mail containing H-1B petitions. H-IB visas are often used by hundreds of foreigners, including Indians, to work or study in that country. However, this is lower that the original USCIS estimate of 150,000 that the agency has based on amounts from manifests received along with the mail.